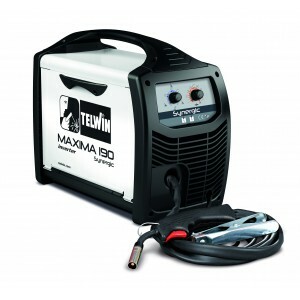 The new Maxima MIG Welder from Telwin was recently reviewed by Practical Classic Magazine. Read all about it below. This microprocessor-controlled welder is perfect for classic car restoration. It’s the machine we use in the PC workshop and it handles all we throw at it with ease. It’s lightweight yet heavy duty and this latest model features several improvements over its predecessor including a simplified setting guide and improved wire feed. This machine is able to give a great result even for those without much welding experience. Synergic control allows you to simply set the thickness of material to be welded following the simple grid inside the lid, connect the earth and you’re good to go. If you’re feeling adventurous, you can even set it up for MIG Brazing cast iron and swap between Gas and Gasless MIG as required. If collected from Welding Superstore, it will offer free tuition on your new machine through Telford Group welder training next door.